Mouser Electronics is now stocking the DRV835x three-phase smart gate drivers from Texas Instruments. These highly integrated gate drivers are designed for three-phase BLDC motor applications, including field-oriented control (FOC), sinusoidal current control, and trapezoidal current control. 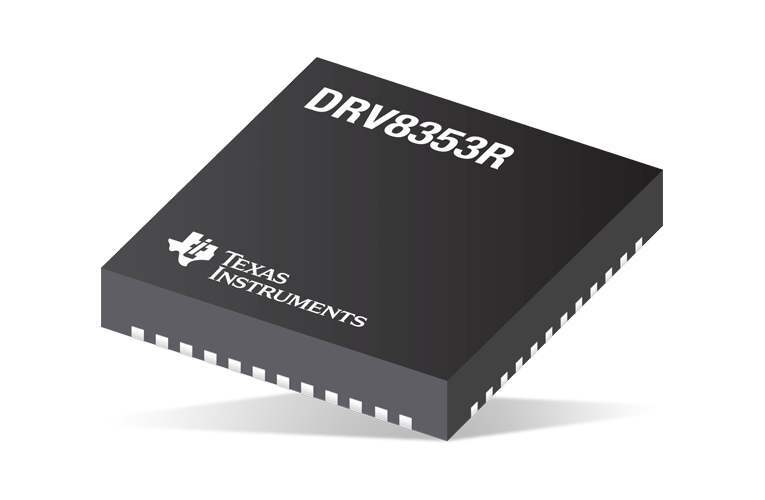 TI's DRV835x drivers use smart gate drive (SGD) architecture to decrease the number of external components that are typically necessary for MOSFET slew rate control and protection circuits. The SGD architecture also optimizes dead time to prevent shoot-through conditions, provides flexibility in decreasing electromagnetic interference (EMI) by MOSFET slew rate control, and protects against gate short circuit conditions through VGS monitors. The drivers provide optional integrated current shunt amplifiers to support different motor control schemes and a buck regulator to power the gate driver or external controller. A strong gate pulldown circuit helps prevent unwanted dV/dt parasitic gate turn on events.